When the temperatures are warm or hot, bugs are usually everywhere – from buzzing in your ear to circling your fruit bowl in the kitchen, disrupting your picnic, and crawling in the house at night. However, as the temperatures start to drop, the bugs start to disappear slowly, and by winter, they are nowhere to be found. This is usually good news for most people with a bug problem, as they assume that the cold weather has killed them. Unfortunately, this peaceful state of mind doesn’t last long as when the temperatures become warm again in the spring, the bugs reappear. The worst part is that they do so in large numbers as if they had been there all along. So, where do bugs go during the winter? The most straightforward strategy used by bugs to survive the winter is to avoid the cold temperatures. This approach is standard among bugs that have migratory behavior. When the temperatures start to drop, these bugs will migrate to regions that are warm, and some of them can travel very long distances to avoid the cold. Examples of insects that migrate include some species of butterflies, dragonflies, armyworm, cutworm, and moths. Other bugs will find areas close to their habitat that are relatively warm, for example at the bottom of ponds, rivers, and lakes. Hibernation is another common survival strategy employed by bugs during winter. 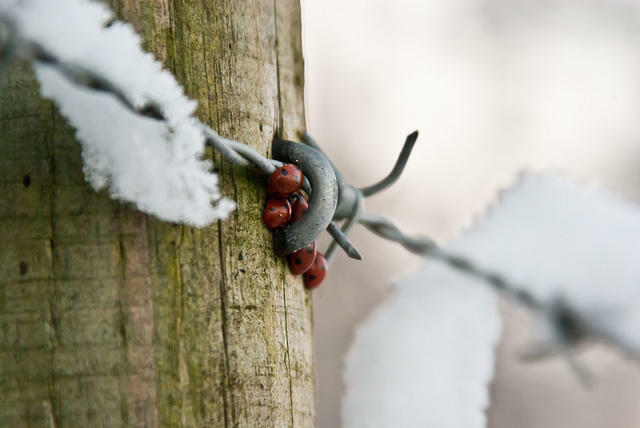 As the temperatures start to plummet, some bugs will eat as much as they can, which provides them with enough energy to last through the winter. When winter sets in, they will then slow down their breathing, heart, and metabolic rates, allowing them to enter into a coma-like state. In this state, they can wait out the cold season, and then become active when the temperatures start to rise. Examples of insect that hibernate in winter include flies, ladybugs, some species of butterflies, boxelder bugs, and beetles. Freezing to survive severe weather sounds like something taken straight out of a science fiction movie. However, it is another strategy employed by some bugs, which allows them to survive the winter season unscathed. As the cold season sets in, the insects that use this approach embrace the freezing temperature, allowing their bodies to enter into a semi-frozen state. During this state, which is also known as diapause, their bodies are dormant, i.e., they do not feed or develop. They just sit there doing nothing and wait out the cold weather. When the temperatures start to rise, the bugs will then thaw and resume normal activities. Examples of bugs that freeze during winter include the emerald ash borer (a tree-killing pest found in North America), wooly bear caterpillars, and some species of cockroaches. The cold weather is a natural bug killer, whic h is quite effective against some species of bugs and insects. However, due to evolution, some bugs have come up with excellent survival tactics such as hibernating or freezing into icicles. This makes them extremely hard to get rid of, as they usually resume their destructive and annoying activities during the spring. Fortunately, these bugs are not immune to other tactics, say, for example, pesticides. Therefore, if you have a bug problem, hiring a bug control professional can help you get rid of them before they survive the winter and come back to haunt you in the spring.